Here’s a tip for any aspiring biographer hoping to chronicle the life of their favorite musician: Befriend him/her and, preferably over beers, ask. 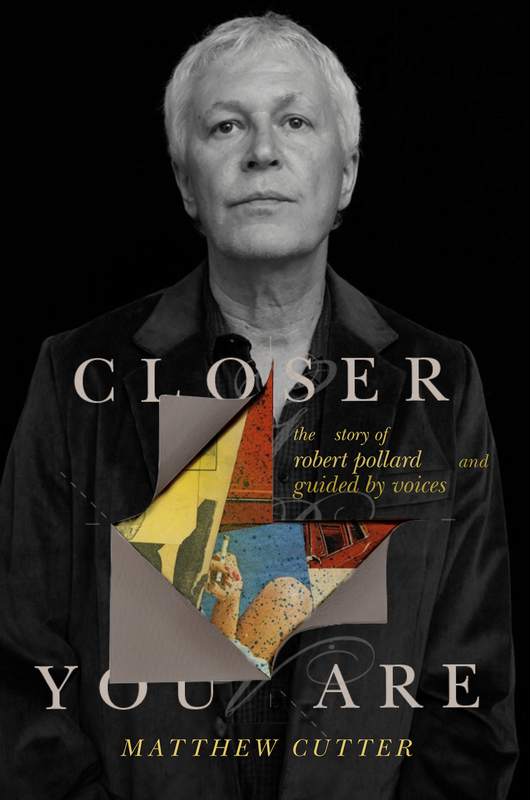 Hey, it worked for Matthew Cutter, author of Closer You Are: The Story Of Robert Pollard And Guided By Voices, released today by Da Capo Press. (Full disclosure: I edited an early draft.) The Pollard-approved tome is a must read for GBV fanboys and anyone interested in how a normal dude from Dayton, Ohio, developed into one of rock ‘n’ roll’s greatest songwriters. Cutter answered a few hard-hitting questions about the book’s genesis—and what Pollard thinks of the finished product. When did you first hear a Bob Pollard song? What was it? Did the song hook you immediately? “I Am A Tree” playing in a Boulder, Colo., record store in ’97, followed by “The Old Grunt.” During the next song, “Bulldog Skin,” I asked the clerk what it was. and he handed me Mag Earwhig!. I was instantly hooked, and went back for more albums a few days later. Been hooked ever since. What is it about his music that created and sustains your fandom? I’m primarily a lyrics guy, so the allusions and mystery and multiple meanings Bob plays with intrigue me. It’s similar in a lot of ways to what Joyce did with language. And I come from a Beatles/classic-rock background, so I think I’m wired for the types of songs and indelible melodies Pollard writes—even though he always manages to surprise. His music is familiar without ever being predictable. You’d been acquainted with Bob prior to writing the book. How did the idea come about? At a Dayton bar, in the midst of an afternoon of drinking and bullshitting, I just asked Bob if I could write a book about him. I honestly didn’t give much thought at that time as to whether or how I would do it. Was he hesitant at all? He took a few months to think it over. And with good reason; I didn’t have a whole lot of mainstream writing credits to go on. It was a risk for him. What was your reaction when he gave his blessing? Primarily gratitude for an amazing, once-in-a-lifetime opportunity. And joyful surprise, followed by mortal fear. I mean, it’s an honor and an immense pleasure, but I also knew I had a huge responsibility to Bob and Guided By Voices fans. As Bob has said, “When you get your shot, you have to rise to the challenge.” So that became my goal. Bob’s a really nice guy, but he’s had moments of, let’s say, a mercurial nature when it comes to the band. A couple of those are in the book; were you wary of including them? No, because Bob has always taken a pragmatic view of those stories: They’re the truth. They’re what happened. Bob’s often self-deprecating, and I think he’d prefer to put a truthful, good story out there rather than a hagiography. He’s complex, like most people, but at his core he’s just an honest, generous person. His stage persona is certainly part of his personality, but it’s not even close to all of it. What was his reaction when he read the book? What was your reaction to his reaction? Since you had a relationship with Bob prior to the book, did that make it easier or more difficult to write it? I guess what I’m getting at is you’re a fan and a friend and not an objective observer. That was a concern at times, but as mentioned earlier, Bob made it easy. You know the journalistic idea of a “nose-picker”? That is, adding character details that are not necessarily flattering but help to humanize the subject? Bob was always OK with including those if they were true. So I hope the book presents a well-rounded view of Robert Pollard as a person, but in the end I’d want his good nature to shine through. Otherwise it would be like when Albert Goldman spent years writing that hack job on John Lennon—what an absolute waste of time and effort, just to tear someone down. Diehard fans are going to love the book. Did you have any sense while writing it that it could have a broader appeal? Or is it really for them? The lyrical analysis and detailed accounts of live shows are definitely for the diehards. But I think there’s also a broader appeal for anyone who’s struggled to make creativity and art the center of their lives. American society is not generally set up to appreciate or support creative, artistic efforts unless they generate millions of dollars. So for me Bob’s story is as timeless as that of Pinocchio; it’s the idea of a dream that survives all its struggles to become reality. Given the speed that Bob works—he’s prolific, you know—how did you decide where to end the book? That he is! We talked about that early on, and agreed that the book should be “a good read,” with a satisfying arc to the story. The Electrifying Conclusion (2004) ended up being a new phase of Bob’s career rather than the end, but we felt that was the natural place to drop the curtain. When Geppetto’s puppet turned into a real boy, so to speak. Related to that, any plans or ideas for a follow-up? I’d love to do a revision/expansion down the road that covers more of Bob’s solo work and side projects, and especially explores the band’s current incarnation in more detail. But there are no plans for that right now. I’d recommend that anyone on the fence about seeing GBV catch them on this tour. They’re going like gangbusters and blowing the doors off every club they hit. There had to be things that you left out. 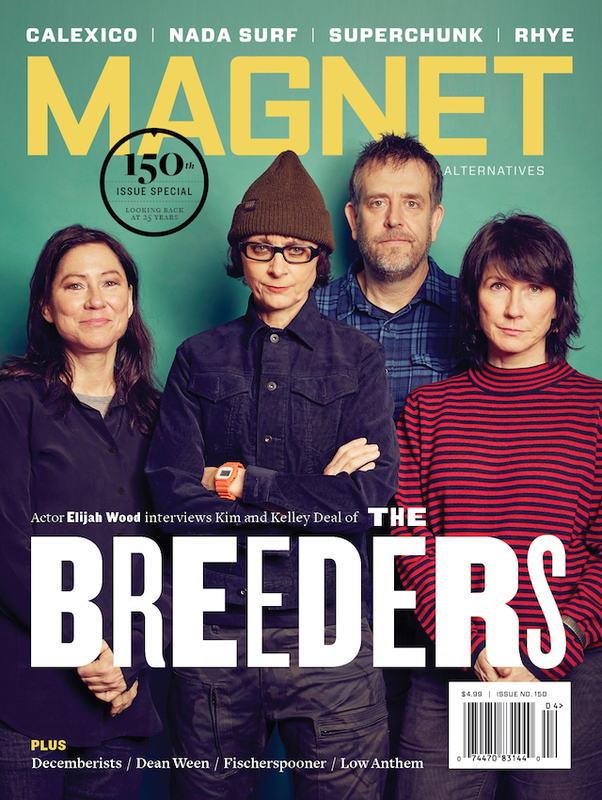 Give MAGNET readers an exclusive anecdote that didn’t make the final cut. One of my favorites is alluded to in the Circus Devils song, “Sunflower Wildman.” Summer of 1968, Bob, (his brother) Jimmy and their friend Emmett came upon a large cherry tree in someone’s front yard, branches bowed with fruit. They crept up to it. No one emerged from the house, so they started slamming these cherries. The juices, cool and sweet, popped in their mouths. They gorged themselves.